This home page is a good spot to let you know about my interests and my work. 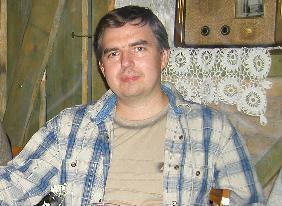 I'm Oleg S. Sevalnev. Was born in Russia in Moscow. I like drink good wine & beer; collect beer labels & coasters. After that I like design microelectronics. Look at my new online photo album filled with pictures from my vacations, trips, and my family.